Big Data for every life sciences investigator. iDataMed meets the challenge to tame Big Data for life sciences researchers. The key is to bring data into the right context to forge new biomedical knowledge. Straightforward text searches bring the right biomolecular findings to the right person at the right time. Combined with our professional services, iDataMed can organize your internal genome-wide transcriptome, proteome, SNP, and other big biomolecular data. In addition to making your data accessible and understandable to your scientists, we can also provide professional tools to mine the data in detail. 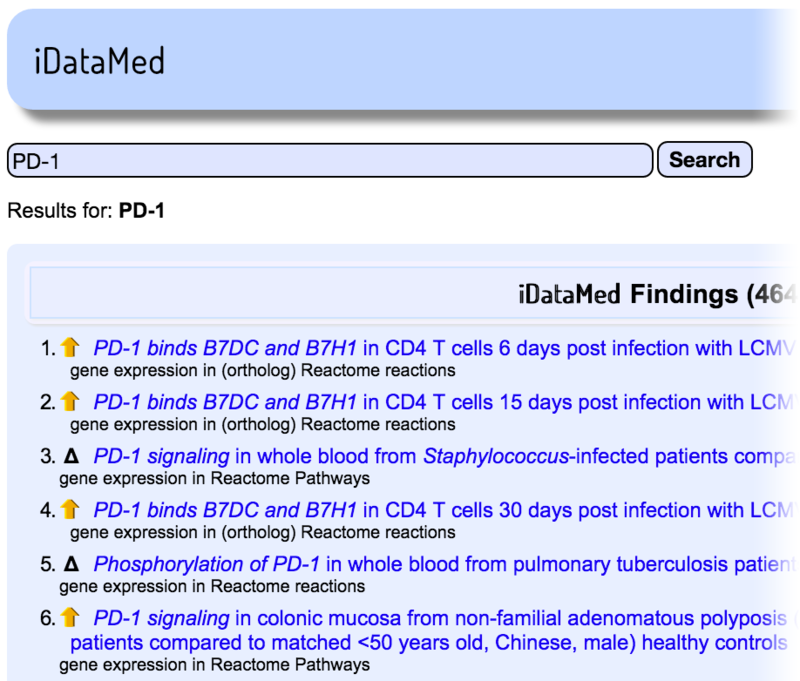 Using iDataMed begins with a search, just as you would in any web search engine or PubMed. 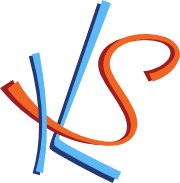 Findings that Knowledge Synthesis has computed from diverse biomolecular big data (such as publicly available gene expression studies, or your private experimental results) and biological knowledge (such as ontologies and networks) are returned, ordered by relevance to the search. Using our proprietary scoring, iDataMed searches across diverse studies to show you the most relevant results. The utility of having statistically significant findings so easily retrievable is that iDataMed quickly informs an investigator about clinical and experimental systems, genes, proteins, pathways, and chemicals (both naturally occurring and drugs) that are relevant to the query. Because iDataMed exploits findings generated by Knowledge Synthesis from primary data, many novel connections not found in curated databases are discovered. iDataMed provides meta-information on search results and tools to automatically build well-targeted searches without the need to learn a query language. iDataMed provides a seamless connection between novel results from biomolecular data and relevant scientific literature. An option to use sophisticated PubMed queries prioritizes iDataMed information that is more strongly support by PubMed references. Gaining an understanding of data analysis results with literature review has never before been so easy. We are looking for academic and business collaborators to help shape the continuing development of iDataMed. If you are interested in early access to iDataMed and want to benefit from this powerful new technology, please contact us. iDataMed can help you increase your return on investment using both private and public data.